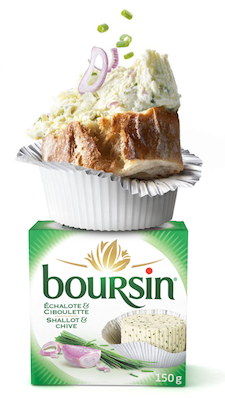 Add some chic to your summer picnics with Boursin! The pleasures of summer are even sweeter when shared with friends! 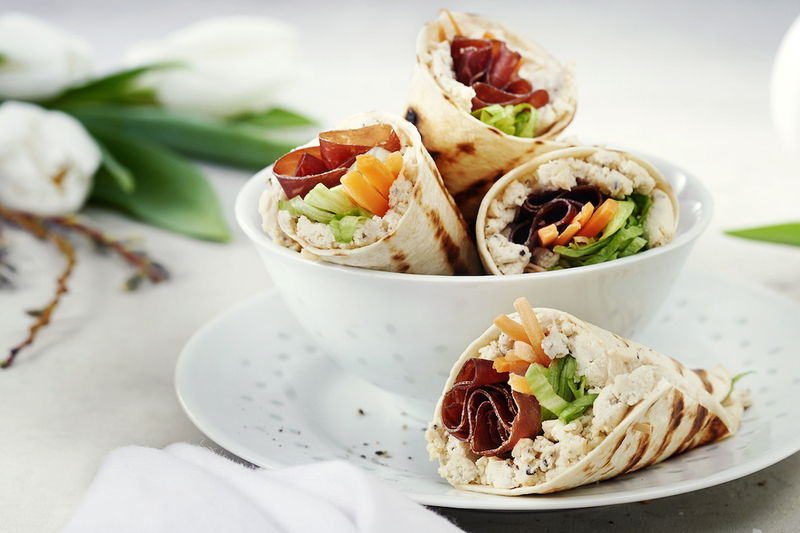 Now that the sun is back, it’s the perfect time for picnics, good food and celebrations.  To enter the Make summer irresistibly chic contest, see below. 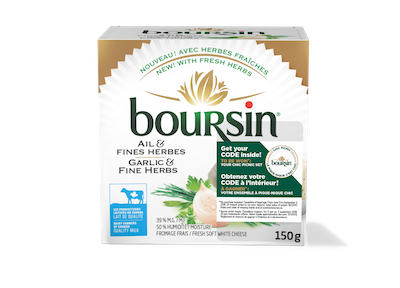 To add a touch of chic to your picnic, there’s nothing like the fresh flavours of Boursin Garlic & Fine Herbs – now made with fresh herbs, Boursin Shallot & Chive and Boursin Bouquet of Basil & Chive. 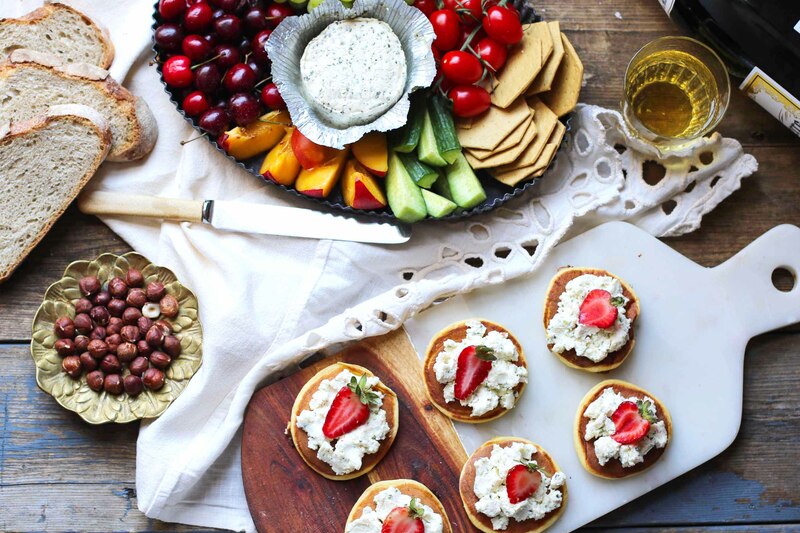 These exquisite appetizers will add freshness and colour to your next picnic. 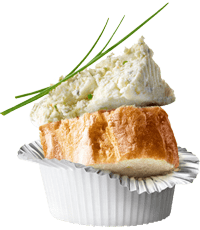 When flavours and textures are so well matched, your friends are sure to devour every bite. 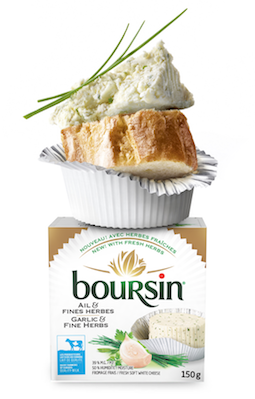 This perfect pair cannot be resisted—you’ll savour every delicious bite… guilt free! 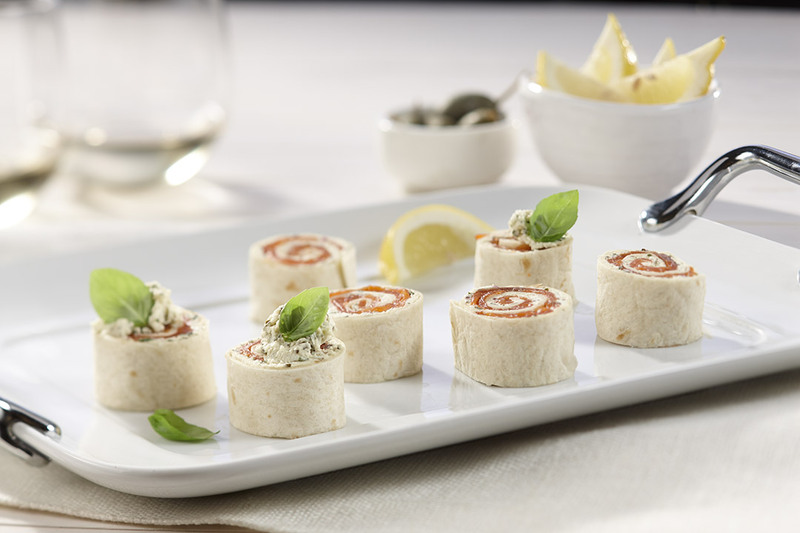 You’ve never tasted blinis like this. Ideal for savouring under the sun! 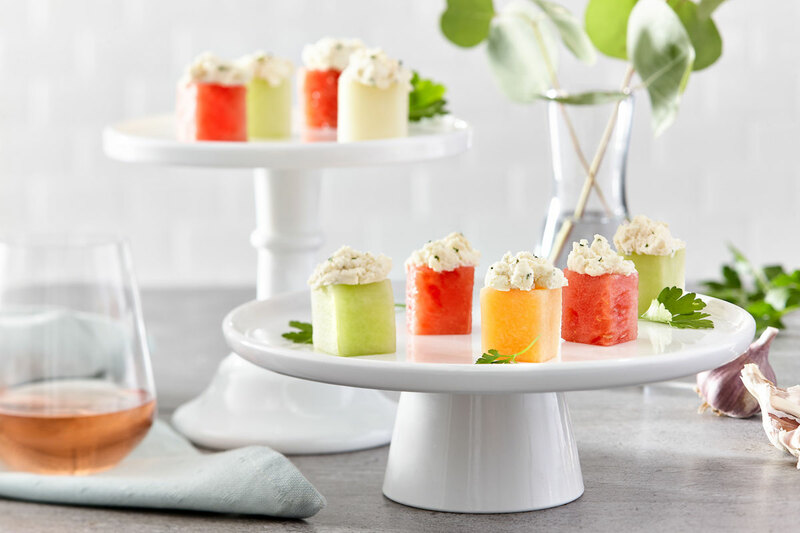 Enter the Make Summer Irresistibly Chic contest for a chance to win one of 25 chic picnic sets valued at $400. 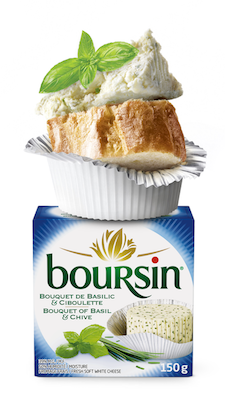 Buy a specially marked package of Boursin® in store. 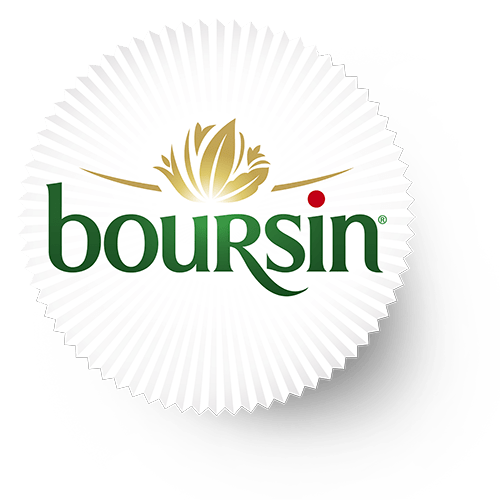 Complete the online contest form and enter the PIN found on the sticker on the packaging.